October is a beautiful. It has Thanksgiving in it, Halloween, beautiful fall weather, although we have had snow early this year. We get our last bit of camping in and yard clean-up. I love October. 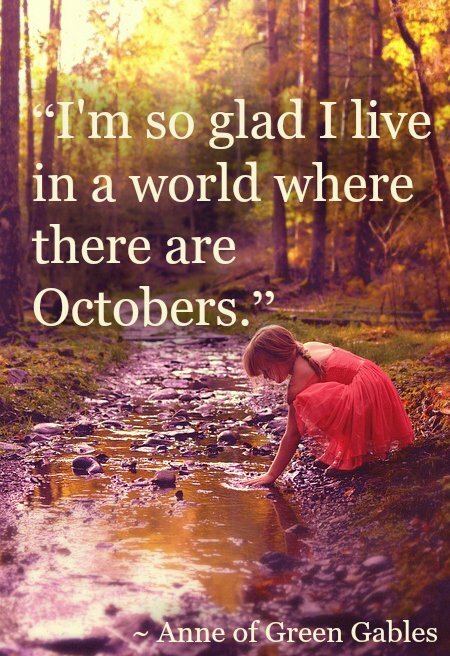 I wish it could be October all year round! Fall is so beautiful unless you get an early snowfall like we did! October is so nice with the brisk air and colourful leaves. I love October, the month of changes!! I would not feel right in a place without leaves turning colours in the fall. The autumn of the year, and especially October, is my favourite time of the year!